Contenders should Possess Graduation Degree (commerce), Degree/Diploma in computer application from an accredited board/university or institute. The Applicant will be recommended for selection on the basis of their marks or merit in the Written Exam and Merit List. Application fee payable for GEN Candidates is 350/-. Application fee payable for OBC Candidates is 250/-. Application fee payable for ST/ SC / PWD Candidates is 200/-. On placement in CG Vyapam, candidates will draw Total Emoluments in the pay scale of Rs. 5200 - 20,200/- plus Grade Pay of Rs. 2400/- Per month as per post and Grade pay. How to Apply: Candidates aspiring to join will be required to ready with all details regarding your name, Address, Qualification details, experience details, upload photograph & signature etc. 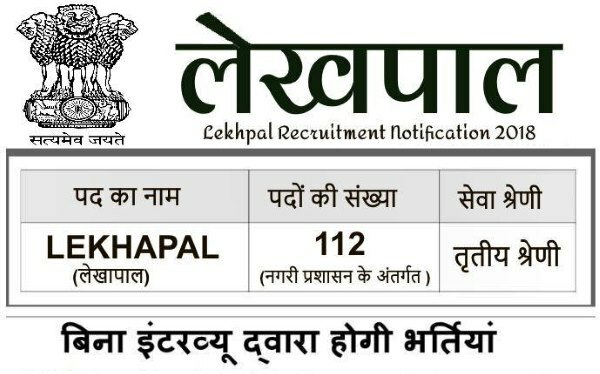 and submit the application form online available at official website www.cgvyapam.choice.gov.in on or before 7th March 2018. Last date for apply online: 07-03-2018.